In 2012 I was a tired mom of 3 who just wanted a porch wreath but had no extra money to buy one. So, I used what I had - salvaged wood in my barn and cans in a recycle bin. I drew flower petals on the wood and cut them out and then started cutting up metal. I painted my first flower orange and I hung it with a zip tie. 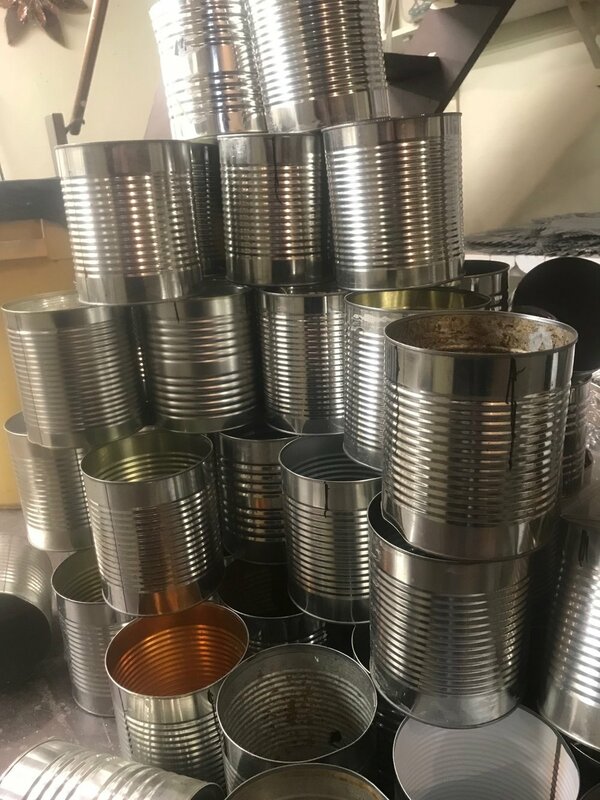 I scout for salvaged metal, including baking pans and sheets, faucet hand wheels, metal mixing bowls, cookie tins, soup and beverage cans. I also turn my spray paint cans into flowers, using the cylinder and dome. 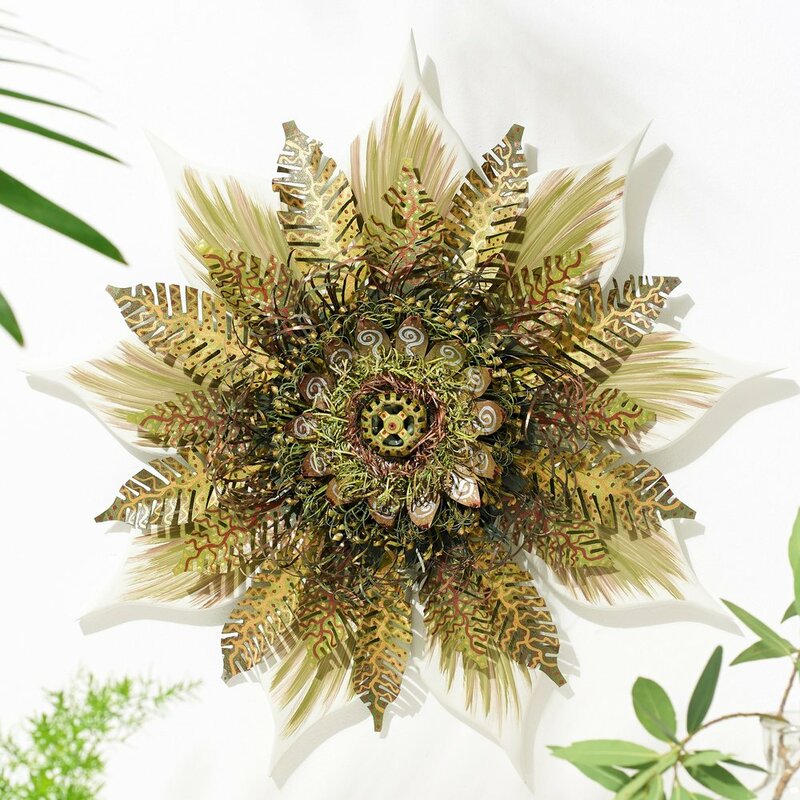 I grew up gardening so my art pieces are inspired by actual flowers in the wild or in a garden. I carve, burn, stain or paint the wood petals that I design. I cut up metal into fine threads. Other metal is cut into larger petals - I hand paint designs on those pieces. Each flower I make is the sum of all its parts - they all come together to create a unique piece - every flower is truly one of a kind.